Nissan shareholders voted Monday to remove Carlos Ghosn from the Japanese auto firm's board as the former company chair faces further financial misconduct charges. The extraordinary shareholders' meeting in a Tokyo hotel was the first since the stunning arrest of Ghosn, who holds French, Brazilian and Lebanese nationality, on 19 November 2018. The 65-year-old's removal from the board marks an end to his tenure with the firm, which he was credited for having rescued in a partnership with French carmaker Renault. The company removed Ghosn as chairperson shortly after his initial arrest, but an extraordinary meeting that drew nearly 4,200 shareholders was required to remove him from the board. Shareholders also voted to remove Greg Kelly, a US executive who also faces charges of helping Ghosn to misrepresent his salary over a period of about ten years. “Nissan expresses its deepest regret for any concern caused by the misconduct to our shareholders,” said Nissan CEO Hiroto Saikawa. “We have to admit that there was a significant problem with our corporate governance,” he added after outlining the accusations against his former mentor. Renault chairperson Jean-Dominique Senard was announced as Ghosn's replacement. Ghosn faces three separate charges, the first two related to allegedly deferring more than 70 million euros' with of his income and concealing this in official documents to shareholders. The third alleges he attempted to transfer personal losses to Nissan and paid a Saudi contact who provided collateral from company funds. 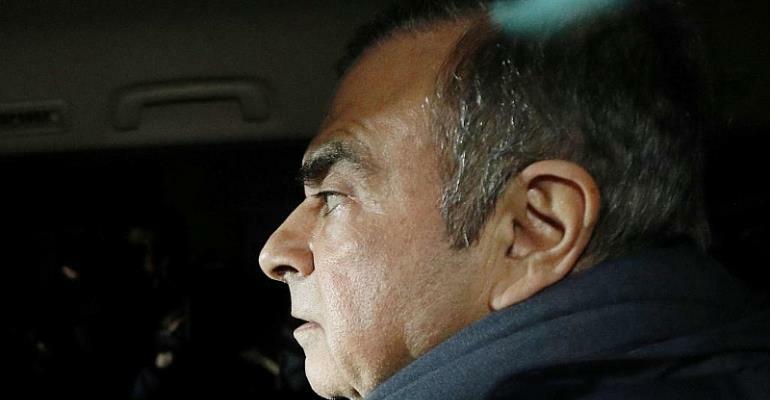 Ghosn was freed on strict bail conditions last month after three months in a Tokyo jail, but investigators took him back into custody last week on a new allegation that he siphoned off millions of euros of company money for personal expenses, including a luxury yacht. On Friday, the Tokyo District Court ruled prosecutors could have until at least 14 April to interrogate Ghosn, who denies wrongdoing. Ghosn kept a low profile during his short-lived period of conditional release, but did appear on Twitter shortly before his new arrest to announce a news conference promising “to tell the truth about what's happening”. He also gave a combative interview to French television, denouncing a Nissan “plot” orchestrated by people afraid of closer integration of the Japanese company and Renault.